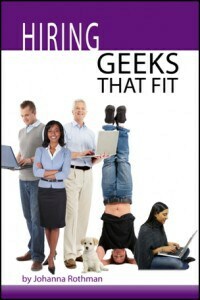 Yegor Bugayenko asked me to be a guest on his podcast to talk about Hiring Geeks That Fit. I gladly accepted and the podcast is now up: Shift-M/10. We spoke about many issues in hiring: Laundry list/shopping list problem in job descriptions Starting with a “test” or a phone screen (I need to write a post … Continue reading "Shift-M Podcast Posted About Hiring"